Paul Romer expected to be named next World Bank chief economist! Huge News for World Bank Watchers: Paul Romer to Be Named Next Chief Economist! 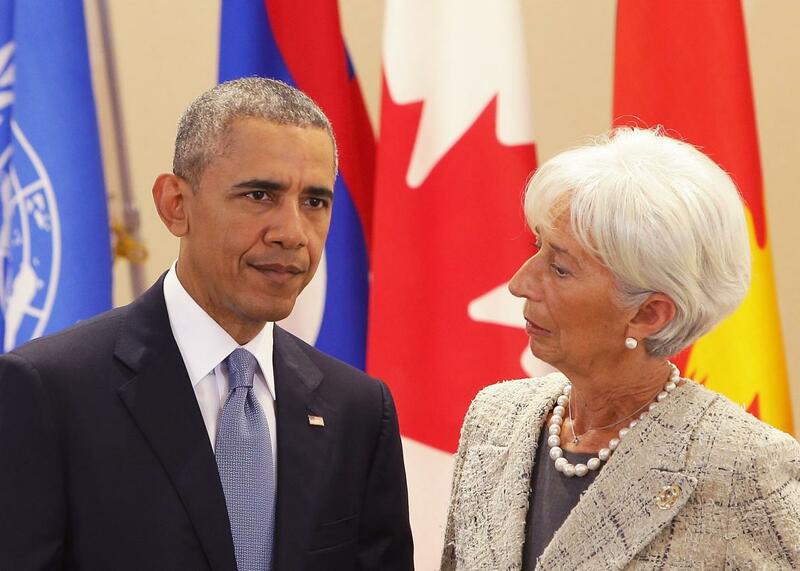 Barack Obama talks with International Monetary Fund Managing Director Christine Lagarde, both of whom are concerned with the world economy, neither of whom is Paul Romer. World Bank fans, foes, and followers, guess what!? The World Bank is expected to name New York University economics professor Paul Romer its next chief economist this week! Romer will replace Kaushik Basu, 64, who is set to retire on when his term ends on July 31, the people said. A spokesman for the World Bank declined to comment on the decision. But World Bank economist Florence Kondylis in a Twitter message late on Saturday confirmed that the “rumors are correct” about Romer’s pending appointment. Anyway, here’s what you need to know about our next World Bank chief economist. He is the son of former Colorado governor Roy Romer. He’s maybe being appointed to avoid a world economic slowdown, about which World Bank, International Monetary Fund, and various government officials are not unconcerned! Finally, and perhaps most importantly, he has a great blog. World Bank Names Paul Romer as Chief Economist. Welcome to the top of the World (Bank), Paul Romer!